Five Talents Wealth Management, Inc., was established in May 16, 2007. 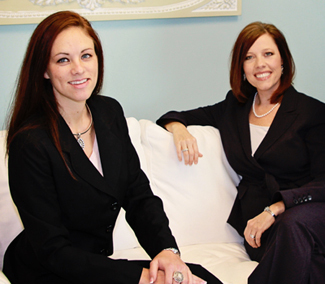 Founded by owner Jamie K. Williams, CFP®, CLTC, Five Talents Wealth Management originated many months prior to opening. Having been in the industry for 14 years, Jamie dreamed of opening a Christian financial investment firm that independently allowed her to assist individual clients and their investments in accordance to each of their needs with a low client-to-advisor ratio. Jamie carefully and prayerfully selected her business partnerships and decisions to be centered on those who shared her outlook—even to the detail of choosing the company’s name. With this in mind, Jamie surrounded herself with a Registered Investment Adviser–broker/dealer that allows her office to help investors feel comfortable seeking help with their financial goals and a staff that will care for each individual by assisting them in a knowledgeable, courteous, and professional manner. Five Talents Wealth Management chose to partner with Commonwealth Financial Network®, one of the preeminent independent Registered Investment Adviser–broker/dealers. The alliance with Commonwealth ensures that clients receive a wide variety of investment choices to complement their goals. It also helps the company best serve clients in a seamless and efficient manner by providing back-office, investment, and technology support. The year 2017 brought great joys for Five Talents Wealth Management as it marked 10 years of service to its clients. However, the year also brought their deepest sorrow. On August 5, 2017, five months after receiving a cancer diagnosis, their precious founder, Jamie K. Williams, went home to be with Jesus. And just as she had taught and instructed her clients to prepare for the future, she had also made precise plans for the future of Five Talents Wealth Management and her clients. She selected the person who had been by her side from the very beginning, the person she had groomed and mentored for over 10 years, her friend and colleague in whom she placed her trust, Susan Reznor Moone. Susan shares the same values, beliefs, and vision as Jamie and is honored to be perpetuating Jamie’s legacy at Five Talents Wealth Management. 1Warren W. Wiersbe, Wiersbe’s Expository Outlines on the New Testament (Colorado Springs, Colorado: SP Publications, Inc., 1992), 91–2.